W. Douglas Robinson is Bob and Phyllis Mace Professor, Curator of Birds, and Professor of Wildlife Science at Oregon State University. Birds are my expertise, my vocation and avocation. I study wild birds to understand how and why they respond to environmental change as well as why they live their lives in the ways they do. I am a PhD candidate and native Oregonian studying long-term avian community change on Barro Colorado Island, Panama with a variety of acoustic and non-parametric statistical analyses. My research interests include birds – especially behavioral ecology, species-habitat relationships, and community dynamics. In my spare time I enjoy outdoor activities like birding, backpacking, and skiing, as well as various artistic endeavors. 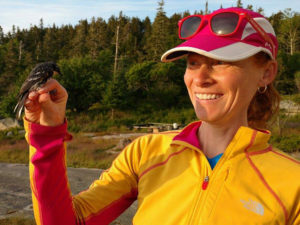 I am a postdoctoral scholar working with the Oregon 2020 project to create statewide predictions of bird abundances and distributions in Oregon. I am seeking a Masters of Natural Resources degree after first completing the Wildlife Management Graduate Certificate program. I moved to Twin Falls, ID in January 2017 for a position with the Bureau of Land Management as a Natural Resource Specialist. My capstone project involves working with wildlife biologist, Michael Fieger with the Idaho City US Forest Service Ranger District. I am analyzing current research on Flammulated Owls, including their nesting and foraging habitats, management actions that are most successful in maintaining or improving critical areas of habitat, and how those areas of critical habitat that are located within wildland-urban interface (WUI) corridors can continue to be managed effectively while still performing hazardous fuels treatments and fire suppression tactics. I am pursuing a Graduate Certificate in Wildlife Conservation and Management. I live in Columbus, Ohio. Earning my degree through the distance learning program has been an incredible journey! Currently I am working on my capstone project involving bat conservation and public education. In my free time I enjoy birding, hiking, and backpacking with my fiancé. I am pursuing a Graduate Certificate in Wildlife Management. I currently live in northern New Mexico and am a biologist at Bandelier National Monument. I manage our long-running bird banding program and have centered my capstone project around the data we have collected over the years. My project will focus on return rates of birds after fire. I will be using data from our migratory sessions, possibly our MAPS sessions, along with vegetation data taken throughout the years before and after fire. I am seeking a Masters of Wildlife Science degree while continuing to work full time for Oregon State University located in Burns, Oregon as a Faculty Research Assistant. My project focuses on how different grazing regimes affect sagebrush obligate songbirds in the sage steppe ecosystem of eastern Oregon. My major advisor is Jon Dinkins and I am co-advised by Doug. My research interests include rangeland and wildlife ecology, especially animal-habitat relationships and applied research topics. 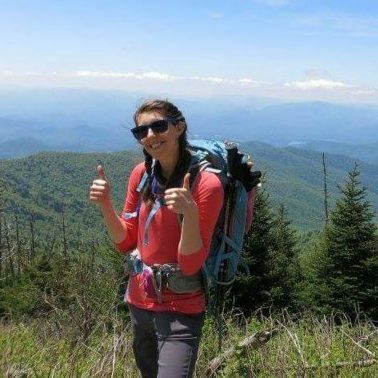 In my free time, I enjoy backpacking, hiking, archery, and occasional rock climbing. I am comparing the abundance and distribution of Yellow-rumped Warbler Setophaga coronata subspecies in western Oregon using a ten-year data set collected by Dr. Robinson. I have been looking to see if there are differences between seasonal migration times and proportional representation of the two subspecies. I have also assisted in collecting data for the Oregon 2020 project. In addition to being President of the OSU Bird Nerds, I am also webmaster and historian for the OSU chapters of SACNAS and MANRRS, and the 2018 Undergraduate Teaching Fellow for Systematics of Birds. I have been involved with various projects in the Robinson Lab since transferring to the Department of Fisheries and Wildlife at Oregon State University as an undergraduate in 2015. I have worked both as a data technician and avian point count technician for the Oregon 2020 Project. I assisted in the instruction of FW312 Systematics of Birds as an Undergraduate Teaching Fellow in 2016 and helped coordinate the involvement of students in audio-playback owl surveys and Christmas Bird Counts in the Willamette Valley. As a graduate, my current role working with Dr. Robinson involves the exploration of the mechanisms behind the Patagonia Picnic Table Effect (PPTE). The PPTE is birder-speak for an increase in detection of rarities following the report of an initial rarity in a specific geographic location. We use eBird data to learn how observer effort changes following the detection of a rare bird. Broadly, my research interests include avian biogeography, paleornithology, and ways in which citizen science can be applied to conservation research. I am now a doctoral student at OSU in Rebecca Terry’s lab. I have been working in the OSU bird collection to create a current inventory of the more than 9,000 specimens. I also served as the Fall 2017 Undergraduate Teaching Fellow in Systematics of Birds. Neysa Frechette, MNR 2019; Neysa evaluated the influence of vegetation removal at Ballona wetlands in Los Angeles County, California, on marsh birds and mosquito populations. 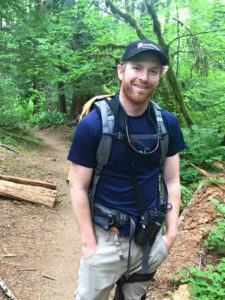 Tyler Hallman, PhD 2018; Tyler studied effective ways to model species distributions and abundance across the Willamette Valley, Oregon, by using professional and eBirder data. He used retrospective modeling to understand how bird populations have changed in the Valley since 1850. Tyler continues in the lab working as a postdoc on the statewide modeling efforts as we conclude the Oregon 2020 project. Evan Jackson, MS 2017; Evan studied the movements of Costa Rican hummingbirds in and around small forest patches. He was co-advised by Matt Betts. Allyson Jackson, PhD 2017; Allyson studied dynamics of mercury and songbirds along the Willamette River drainage. She was co-advised by Collin Eagles-Smith. She is now a professor at Purchase College in the SUNY system. Jenna Curtis, MS 2014; Jenna re-inventoried four bird study plots near Corvallis surveyed 60 years ago by another OSU Master’s student. Her results were published in PeerJ and Ecosphere. Noelia Volpe, MS 2014; Noelia was a Fulbright scholar from Argentina co-advised by Matt Betts. She radio-tracked Green Hermits in Costa Rica as they moved around a fragmented landscape. 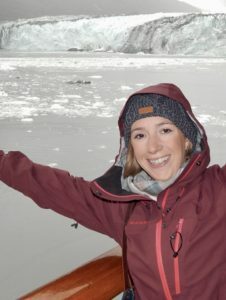 Her results have been published in Ecological Applications and PlosOne. She is now a PhD student in Argentina. Stephanie Caldwell, BS 2014; Stephanie wrote her Honors thesis on the effects of the field burning ban on abundances of wintering raptors in the Willamette Valley, Oregon. Adam Hadley, PhD 2013; Adam studied the interactions of hummingbirds with Heliconia in a fragmented landscape in southern Costa Rica. He was co-advised by Matt Betts and he has published his papers in Ecology, Biotropica and other outlets. He is now a postdoc at OSU and University of Toronto. 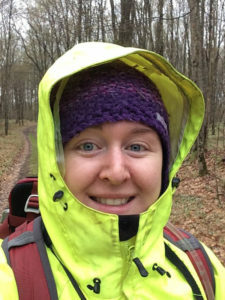 Suzanne Austin, PhD 2012; Suzanne studied life histories of temperate and tropical birds, particularly relating to incubation behavior and nest attendance. After graduation she worked with Bob Ricklefs at University of Missouri-St. Louis and is now a postdoc at UC-Davis. She has published her work in Journal of Avian Biology and Methods in Ecology and Evolution. 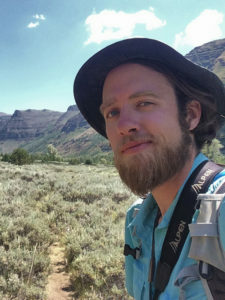 Aaron Holmes, PhD 2010; Aaron studied responses of birds and small mammals to a fire chronosequence in Sheldon National Wildlife Refuge, Nevada. He is now associated with Point Blue and his own environmental consulting company. Aaron published his work in Journal of Wildlife Management and Western North American Naturalist. 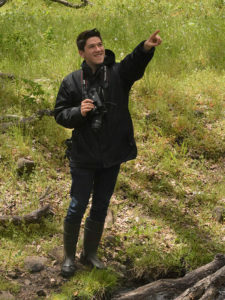 Tim Lawes, MS 2009; Tim followed Pygmy Rabbits around southeastern Oregon to learn about how landscape and habitat characteristics affect their movements. He was co-advised by Bob Anthony and is now working with Dan Roby on conservation of fish-eating birds. Ana Ibarra-Macias, PhD 2009; Ana studied movements of birds among forest patches at Palenque, Chiapas, Mexico. She earned her degree at University of Miami where she was co-advised by Mike Gaines. Ana published her work in Biological Conservation and Journal of Tropical Ecology. Karl Fairchild, BS 2009; Karl compared birds across altitudinal zones on a tropical volcano in Costa Rica with those on Mount Saint Helens for his Honors thesis. He published an inventory of the birds in Beazell Forest near Corvallis. He went on to a Master’s at Cal State-Fullerton. Jennifer Bruce, MS 2008; Jen radio-tracked Greater Sage-Grouse during winter in central and southeastern Oregon. She is now a field technician and mom in South Carolina. Her work was published in Western North American Naturalist. Joe Fontaine, PhD 2008; Joe studied responses of birds to habitat change after the massive Biscuit fire in southwestern Oregon. He is now a Lecturer in Perth, Australia, and published his bird work in Forest Ecology and Management. Ghislain Rompre, PhD 2008; Ghislain got to go birding in Panama for his thesis work. He studied the factors that influence the biogeographic distribution of birds in central Panama, including environmental and human factors. He earned his degree at Laval University in Quebec and was co-advised by Andre Desrochers. Ghislain is now a big-wig at Scott’s Company in Columbus, Ohio. He published his work in Journal of Biogeography, Ecological Applications and Landscape and Urban Planning. Noah Strycker, BS 2008; Noah worked on our Panama crew for our life history project and did his own analyses of egg sizes in birds. He is now associate editor of Birding magazine, has published several books, and leads tours on Arctic and Antarctic trips. James Rebholz, MS 2007; James followed Greater Sage-Grouse during the breeding season in southeastern Oregon to learn how habitat features influence their reproductive success. He was co-advised by Mike Pope and is now working with the USFWS in Washington. He published his work as open-access in The Open Ornithology Journal. 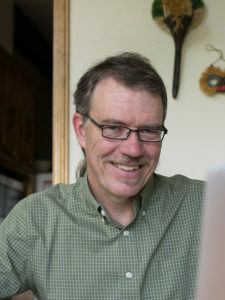 Jamie (Nelson) Ratliff, MS 2007; Jamie re-introduced Mountain Quail to Steens Mountains in southeastern Oregon and followed their fates for two years. She is now working in eastern Oregon with USFS. 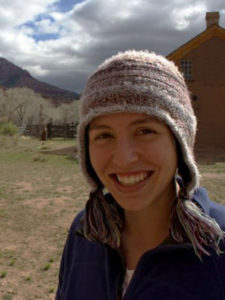 Ali Ainsworth, MS 2006; Ali evaluated how plant communities change after fire in Hawaii. She is a biologist in Hawaii. Her primary advisor was Boone Kauffman. She published her work in Biotropica and Plant Ecology. Randall P. Moore, PhD 2005; Randy studied the biogeography of birds in Gatun Lake, Panama. He published his work in Ecology Letters. Randy is now doing research in Arizona, studying the rare Streaked Horned Lark in western Oregon and is a Senior Instructor at OSU. Jeffrey A. Stratford, PhD 2005; Jeff earned his PhD from Auburn University where I was on the faculty from 1998-2002. Jeff studied the bird community in the rapidly urbanizing landscape north of Columbus, Georgia. He published his work in Urban Ecosystems and Frontiers of Ecology and Environment. He is now a professor at Wilkes University. James Tucker, PhD 2002; James studied responses of Bachman’s and Henslow’s Sparrows to fire in longleaf pine ecosystems at Conecuh National Forest, Alabama, and Blackwater State Forest, Florida. James published his work in Journal of Wildlife Management, The Auk, and The Wilson Journal of Ornithology. In addition, I have worked with a very long list of extremely helpful field technicians on my projects. Some of the most helpful “repeat offenders” are Ruby Zambrano, Betzi Perez, David Bradley, Jacobo Ortega, and Ceinwen Edwards. Students who have fellowship support (for example, NSF and similar) for on-campus studies may apply at any time. All of my current assistantships are filled. If you are interested in a distance learning graduate degree or certificate, please see my contact page and get in touch. If you are an undergraduate looking for research experience, feel free to contact me or catch me at my campus office. If you have heard rumors of the OSU ornithology program, The Flock, touch base with me to hear the latest.